Return of an old friend. 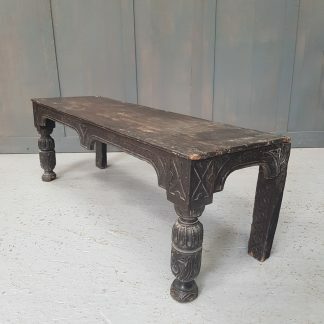 Double baluster leg armrests, large shield on the back support which can turn into a table top. 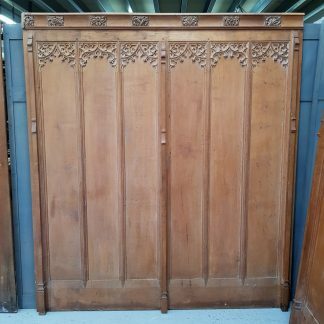 Green Man on front to ward off evil spirits and lots of storage space. 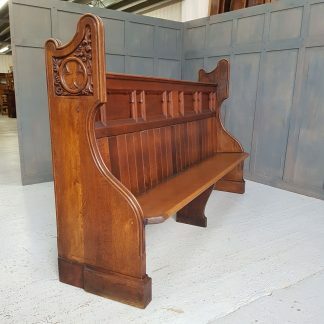 Please Note: For large items including this Old English Solid Oak Monks Bench with head of Green Man delivery can take up to 2 weeks for most parts of mainland UK.